waving the custom brush - animated or not - in the breezy wind. This is a new filter found in the animation timeline editor. It uses the current custom brush and transforms it to make it look like it's gently waving left to right as if it was being moved by a light breeze. Or by a strong wind flow, depending on your choice of parameters. A similar tool was already found as a Lua script, now it's better integrated with PD Pro's Timeline system. 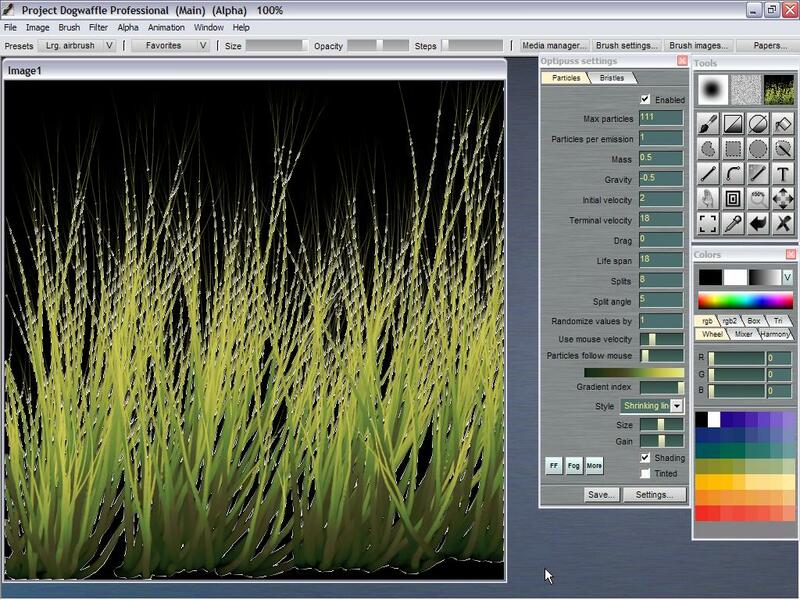 You can load an image of your favorite tall grass, or paint one in just one brush stroke, like this one created with the Optipustics particle brush system from PD Pro (or PD Particles). 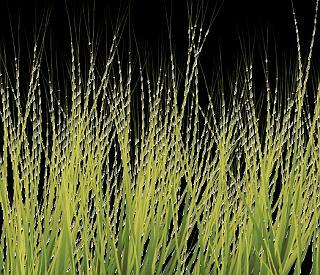 The marching ants indicate the selection mask which was generated on-the-fly and thus will keep the grass solid and the background transparent. and the image will become your custom brush. 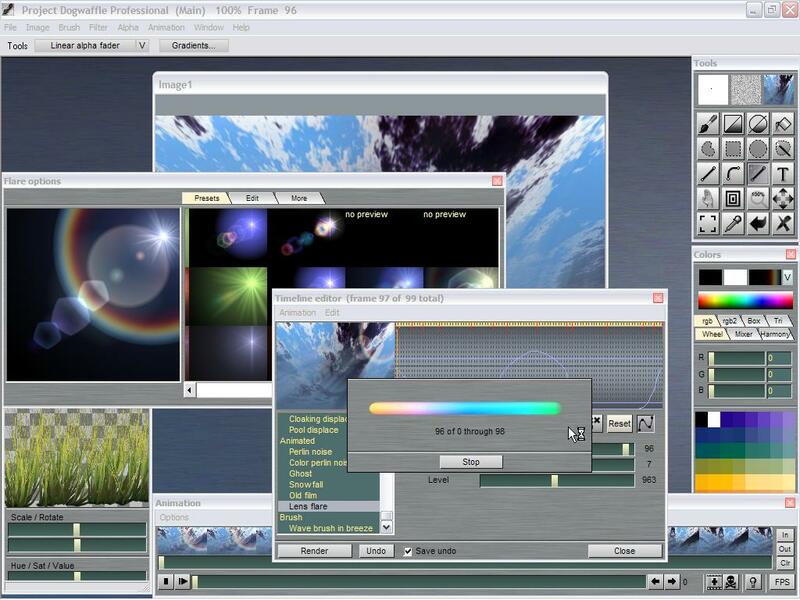 You could also have loaded a pre-existing image from file (such as Targa ith 32-bit for alpha and RGB). 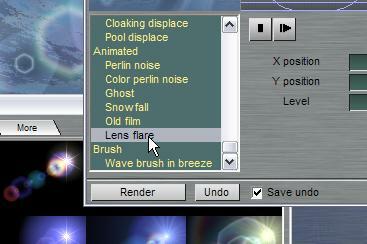 You can load it directly into the custom brush, from the Brush menu. 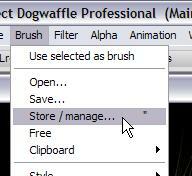 to store the brush image safely in a store manager window. When a custom brush is stored through an instance of the brush manager, you get to see its thumbnail (which resizes when you resize the window of the brush manager). You also can recognize the transparency that's in the image. And also the Hue, Saturation and Value, as well as the Red, Green and Blue channels. This gives you easily access to the tools to quickly alter the brush image, so that you can create numerous variations all based on that original. Here we just finished creating an animated sky with clouds moving away from the view, as if the wind was blowing from behind us and towards the far left. We also added a lens flare animation, although it might be better to do that at the end, after the animated, waving grass is rendered, since the lens flares appear from within the lens and should not be partially hidden by the grass rendering we're about to add to our current animation. 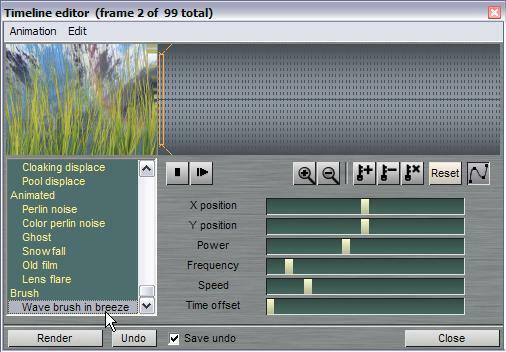 Now we're ready to add the waving motion to the grass and render it on top of the current animation. In the Timeline editor, scroll to the bottom of the filters list. Notice that there's a parameter for X and Y position (of the brush). 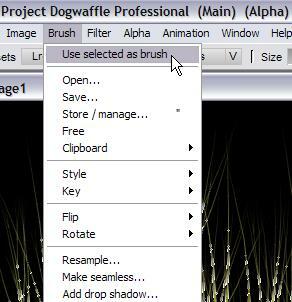 You can also simply point and drag in the preview window to set the position of the custom brush image. 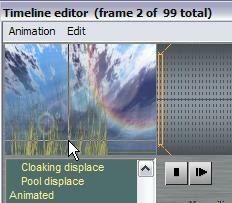 Click 'Render' in order to start rendering the waving brush image over the frames of the current animation.